Since having a child, doing my own manicure has become a disastrous affair. My application is messy because I’m out of practice, and I always smudge and ruin my nails before they are fully dry. I’m guessing most busy women don’t have the time to do their own nails. Until now! 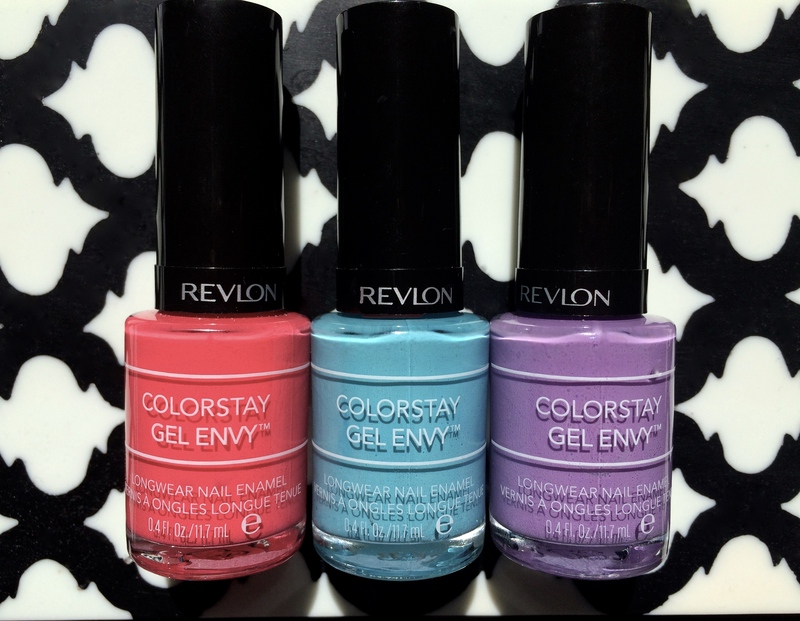 I love Revlon Colorstay Gel Envy. First you get the look and finish of a salon gel manicure without the expense. Second, as it’s a nail polish and base coat in one, you save time because you don’t have to apply a base and wait for it to dry before applying a colour coat. The polish is opaque, so had I applied my first coat a bit thicker I may have been able to get away with only one coat, more time saved! Third, it’s super easy to apply and control, because it has a thick brush which kind of looks like two brushes side-by-side. Fourth, the coat on my first hand was dry by the time I had finished painting my second hand, which for me translated to no smudged nails. Although Revlon Colorstay Gel Envy gives the look of a gel manicure, it doesn’t last nearly as long, which is an ok trade off for me because you get the look of a salon gel manicure without ruining the surface of your nails. This gel nail polish comes off with regular nail polish remover vs. having to use a drying acetone to remove it, which is harsh on your nails. All in all, I give this product two dry thumbs up! Here are my new favourite colours for Spring listed left to right; Pocket Aces, Full House, Winning Streak. Previous PostPsst! Wanna know about some great deals?